I ran into this blog: Letterheady. It's basically a blog about letterheads. I found them so interesting that I am inspired to create my own letterhead. Yes, I will create one before break is over. 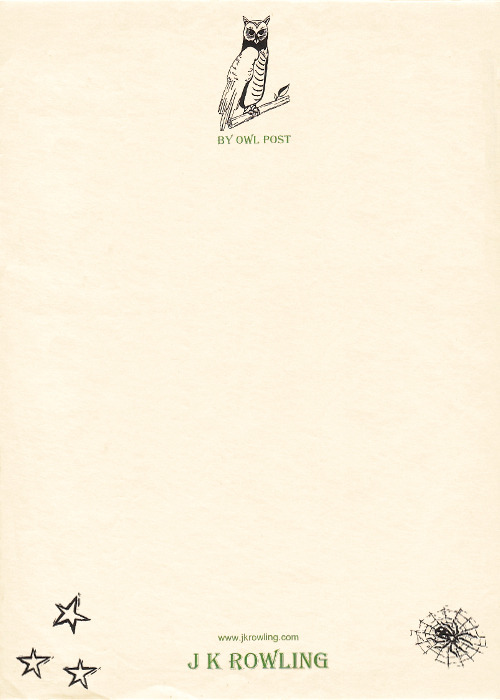 And since, I owe several people letters from college, I will be able to use this letterhead when sending letters to them. It's too bad letters aren't really used anymore. Aside from some formal matters, email has taken over! Is it a shame? Hmm . . . not really. I was never one to really hate on the advancement of technology. (I, for one, am not complaining about the CGI and 3-D in our cinemas. It is similar, like I've said to friends, the black and white to color transition. I don't want to watch a black and white film, and I'm sure kids of today and future don't want to watch a 2-D or hand-drawn film. Although, I do absolutely adore technicolor and hand-drawn animation, but that doesn't mean I have a problem with the new CGI and 3-D stuff.) But there was so much customization with letters. From, the letterhead, wax seal, stamp, handwriting or font. But then again, emails have become more customizable; they aren't telegrams after all. There's pictures, colors, not letterheads but I guess email templates, and the ease of sending digital files: music, videos, documents, voice recordings, etc. I like the way you design your blanks! I saw something like that in the review of the site, which describes how to Make Your Presentation Stand Out. It can be very useful for people who work with web-design or polygraphy. The Seaweed Is Always Greener . . .
One Post, Two days, Still Incomplete.